This LionSteel Hunter model comes equipped with a santos wood handle and a satin finished blade. 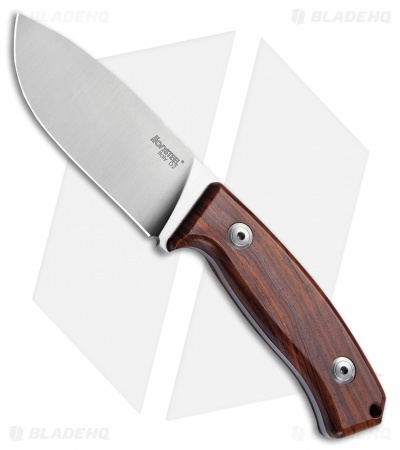 It's built with a durable full tang design for hunting, camping, and general outdoor use. Santos wood handle provides a classic look and a sure grip. D2 steel offers a strong blade with a strong edge. 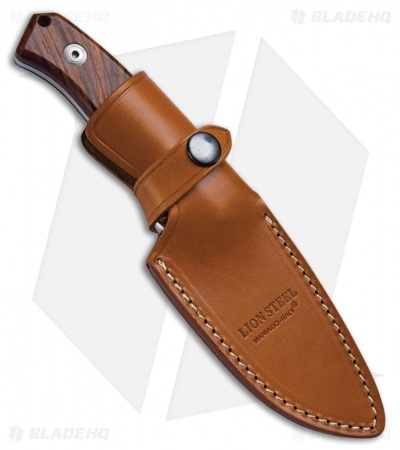 Item includes a brown leather belt sheath for comfortable carry.